'Altmanesque' turns out to be a tricky thing to pin down. Throughout Altman, Ron Mann's biographical documentary about the late director, stars of his films pop up to give their two cents on what it means to them. Disappointingly, most of them spout banal platitudes about artistic bravery and idiosyncratic genius. It turns out that 'Altmanesque' is best defined, as Justice Potter Stewart famously defined obscenity in 1964, as "I know it when I see it." And damn, experiencing an Altman film is like little else in cinema. Even now his loosely assembled (yet rigorously created) narratives and naturalistic dialogue send audiences through loops. You've got to involve yourself in an Altman movie, be able to cycle your empathy between characters even within scenes, let alone within the wider scope of the story. When everything clicks there's not much else that compares, my favourites being Short Cuts, McCabe and Mrs Miller and the astonishing Nashville. These are films that appear grown - like a crystal gradually emerging from saturated solution. Ron Mann's Altman shows us how he arrived at this style, the ups and downs of his career and his general outlook on life. Made, apparently, with the full involvement of the Altman family, this documentary is a glowing portrayal that borders on hagiography. But then, Robert Altman seems to have been a genuinely pleasant, intelligent and interesting guy. With unfettered access to the Altman archives, Mann has knitted together interviews, lectures, family home videos, news footage and unseen experimental shorts, assembling 'the Altman story'. Narrative duties are split between his widow, Kathryn Altman and, from beyond the grave, Altman himself via archive footage. A good documentary about cinema should leave the audience hungry for more films. Altman certainly does that; serving up an opening course of tantalising clips of early television work. This footage, from late 50s serials like promising looking helicoptersploitation drama Whirlybirds or Alfred Hitchcock Presents looks as fresh as the day it was shot, remastered in beautiful HD. Even as a young TV director Altman was pushing boundaries pitching an episode of jingoistic war drama Combat! in which a soldier would suffer from crippling shell-shock. After being told in no uncertain terms that the episode wouldn't get made, Altman made it anyway and was summarily sacked (the episode went on to win an Emmy). Rebellious anecdotes like this pepper the documentary; the timely intervention of producer Daryl Zanuck's young European girlfriends ensuring that the bloody surgery scenes weren't cut from M*A*S*H; Jack Warner booting him off 1967's Countdown for the unconscionable crime of overlapping dialogue; Grace Kelly's horror at seeing Paul Newman struggling through Altman's 1979 sci-fi obscurity Quintet and many more. These make it all too easy to see why Altman is generally referred to as a 'maverick' director. But there's a dark side to him that's only briefly glimpsed. His sons offhandedly mention that he was so busy working that they rarely saw him - resulting in them learning various film production skills so they could interact. Altman's willingness to throw caution to the wind, while arguably fuelling his best works, also has its downside. Early in his career, after quitting television but before cinematic success, his wife describes how he went to the races with their last $200 and bet it on a 20-1 shot. He won, flying them both to Vegas where he immediately bet the lot on a throw of dice. He won again, but there's a steel in his wife's voice when she explains that if he hadn't the relationship would be over. Similarly, his more troubled productions - particularly Popeye - are skated over. 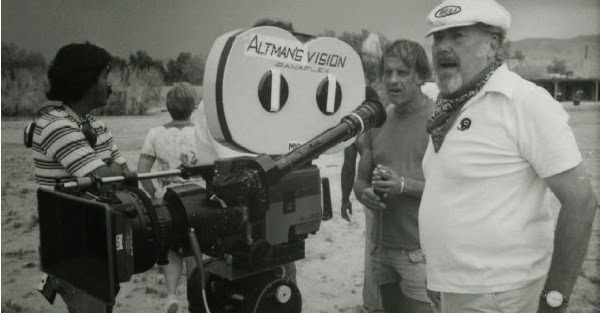 As we hear of tropical storms destroying sets, an iffy script and subsequent terrible reviews we're desperate to see Altman's reaction to a rare, unalloyed flop. But the film swiftly moves on. If I was feeling charitable I'd assume that the apparently zen-like director let this slide off him like water from a duck's back. Uncharitably you might assume that the Altman family would rather there be as little about his failures as possible. Altman certainly succeeds in educating the audience on the life of a fascinating director; it's difficult not to leave with a hunger to fill in your personal gaps in his filmography (I really need to see Gosford Park). Occasionally feels this like it could be the bonus disc in an DVD box-set; a smart but efficient documentary with few aesthetic frills and no effort made to deeply understand the politics or philosophy behind the films. 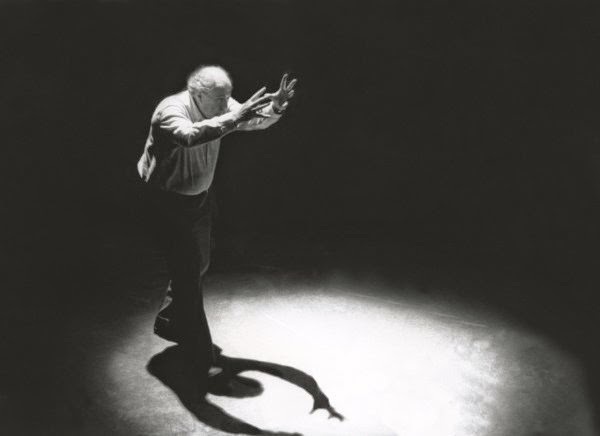 Altman is broadly successful in being a history lesson and broad outline of its subjects personality, but it's fixated on the 'how' and 'what', neglecting the juicy 'why'. Altman is on limited release from April 3rd.